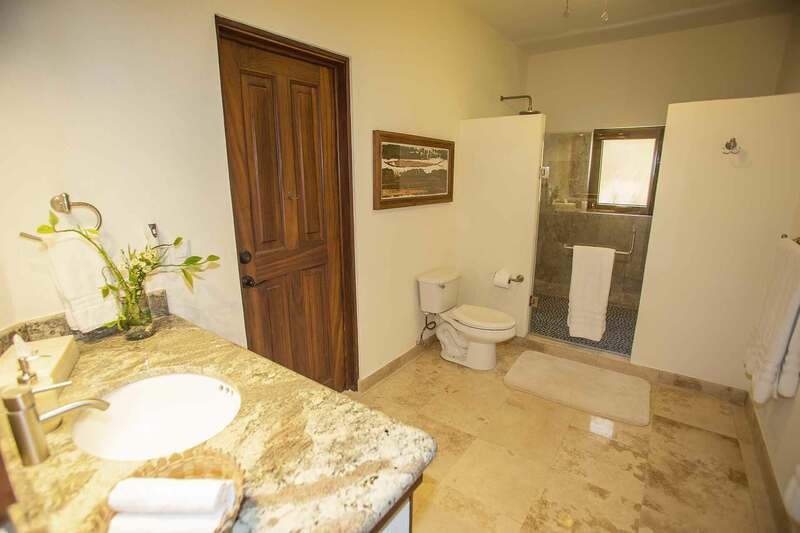 Note: Handicapped Accessible (may have limitations): The ground floor works well for wheel chairs. 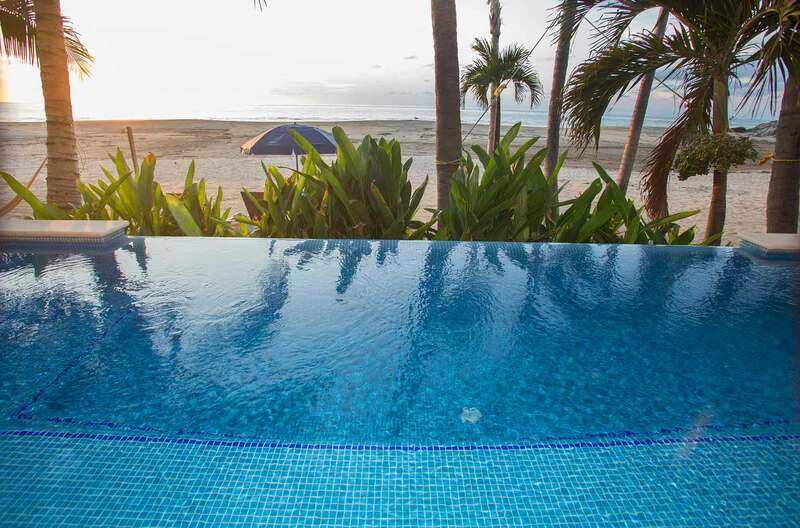 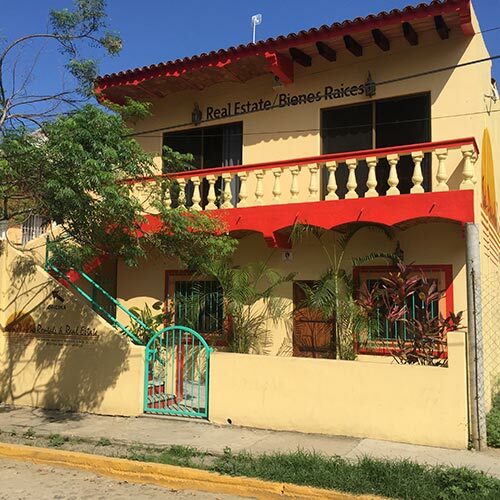 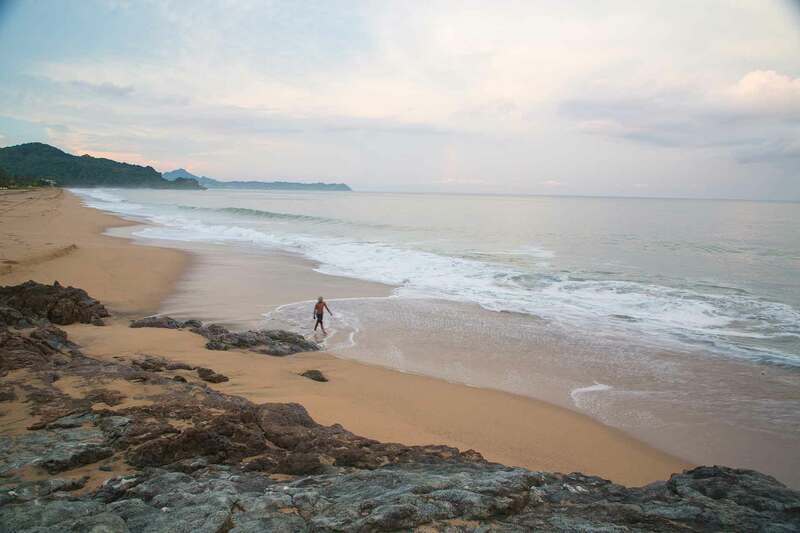 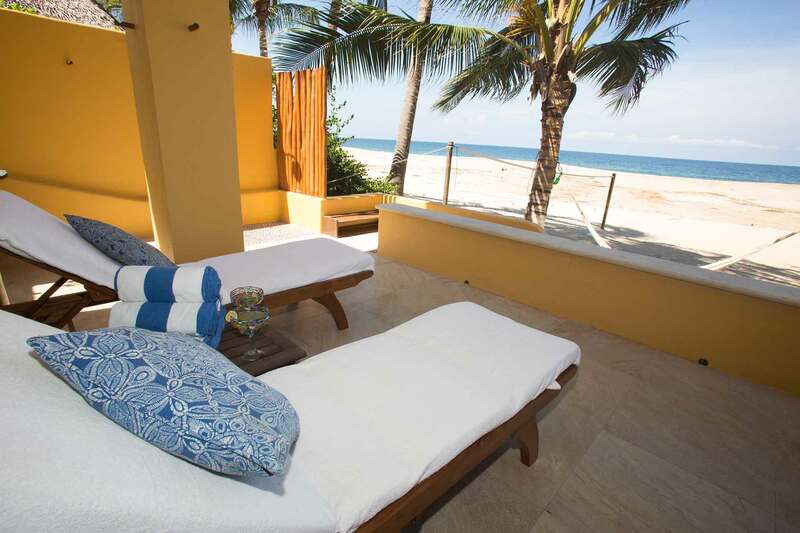 Casa Linda is a grand two-story house located right on the San Pancho beach in one of the most sought out regions of Mexico, the Riviera Nayarit. 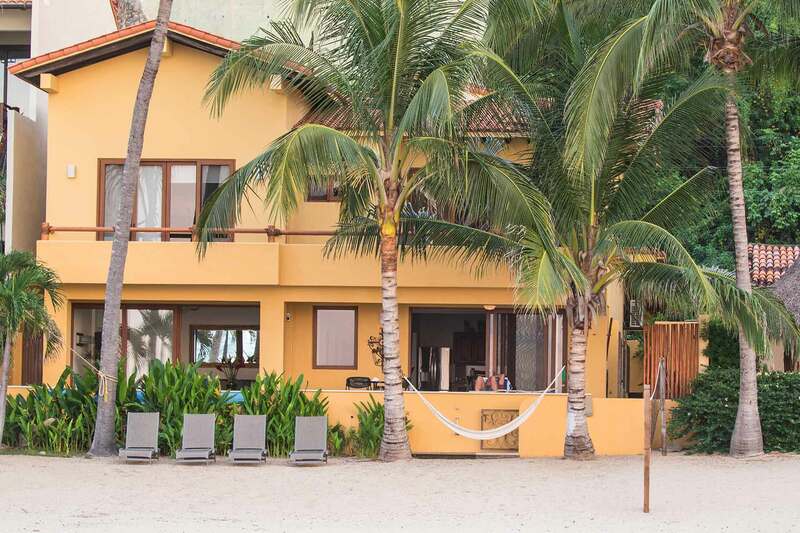 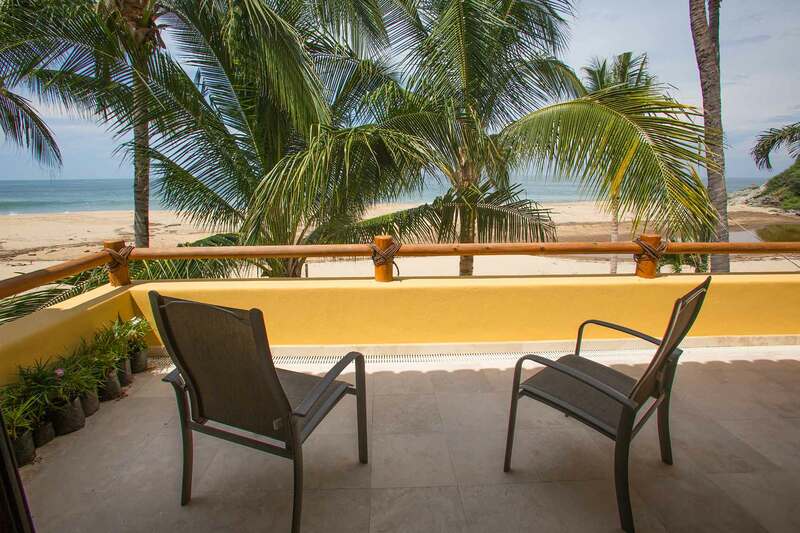 Casa Linda has everything one needs for a fantastic vacation: five air conditioned bedrooms, four full bathrooms, a beachfront pool, an American style kitchen, a dining room, a family room, ocean view balconies, daily housekeeping and an excellent private cook. 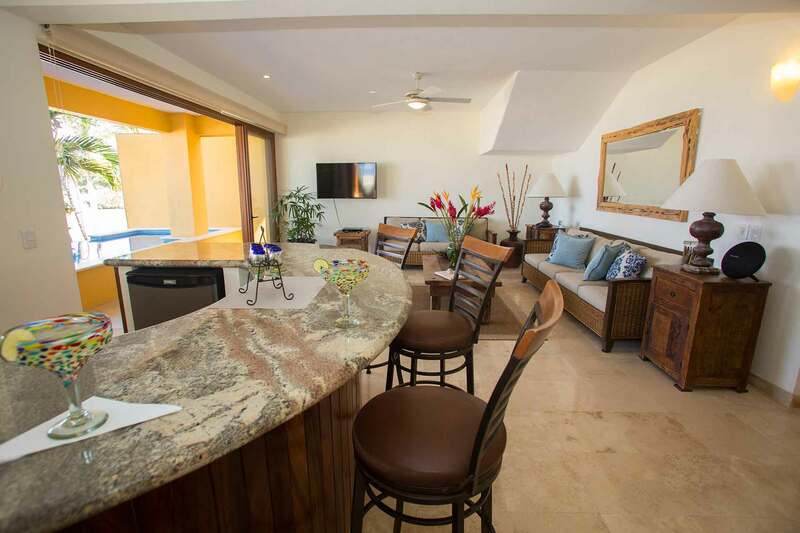 The entry level encompasses two bedrooms, one full bathroom, a kitchen, den, bar and dining area all leading out to the beachfront pool terrace. 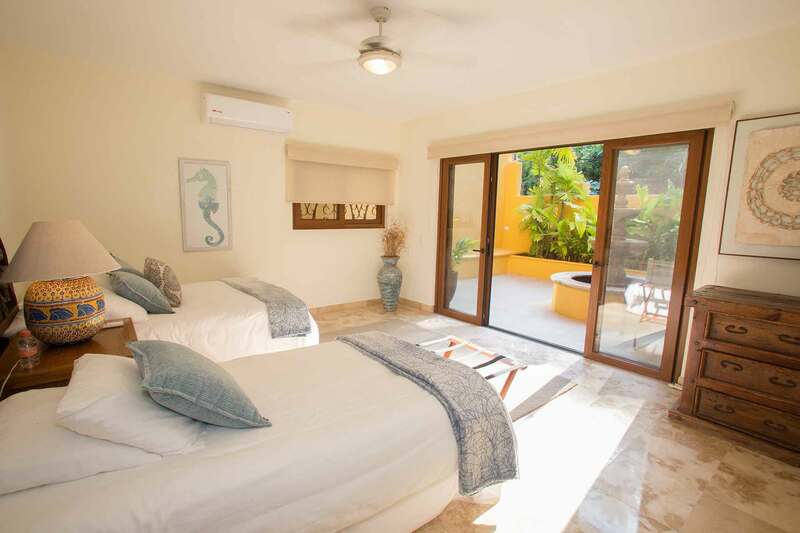 One bedroom hosts a full size and a single bed and sleeps up to two. 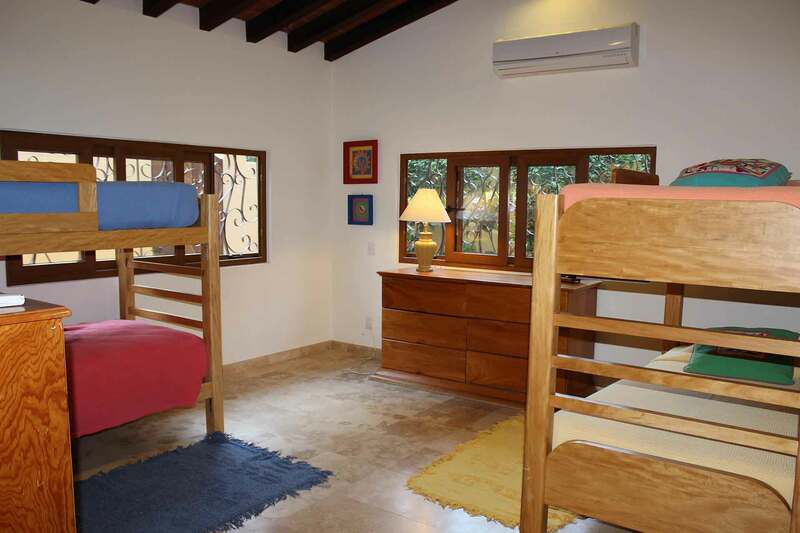 The second bedroom has two bunk beds with four single (twin size) mattresses and sleeps up to four. 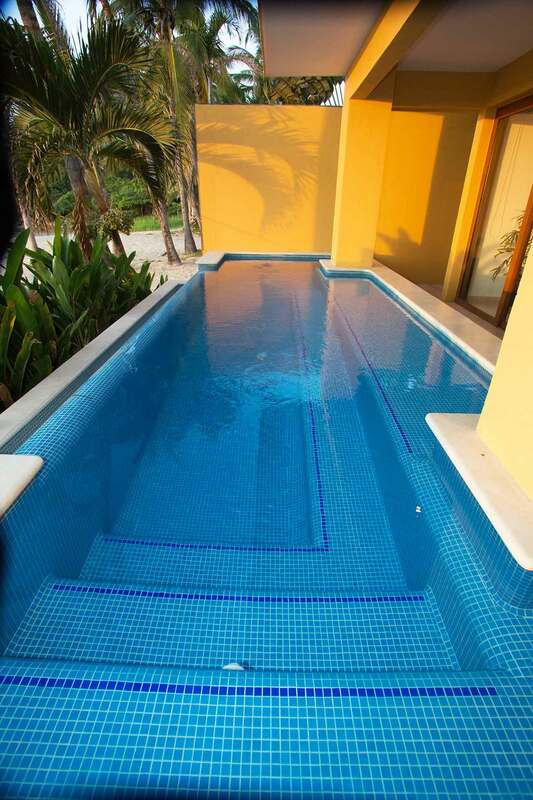 The second story contains three en-suite king bedrooms. 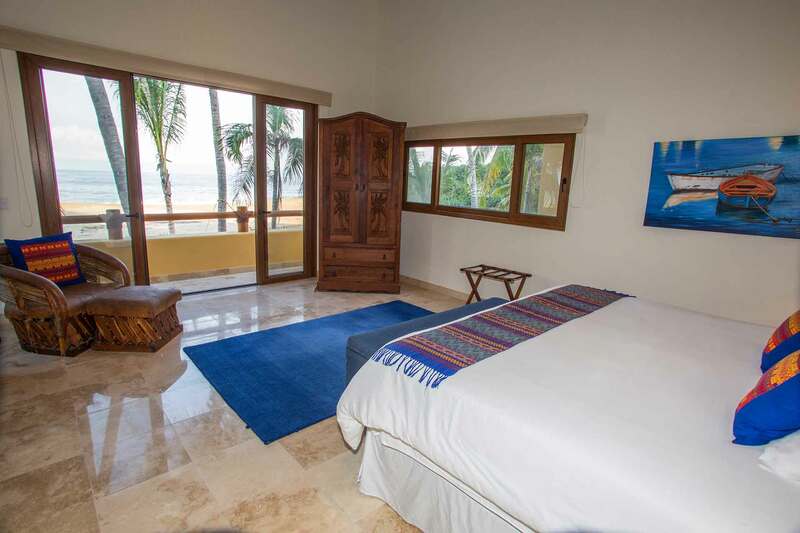 The ocean view master bedroom has a king size bed, sizable en suite full bathroom and private balcony overlooking the beach and sleeps up to two. 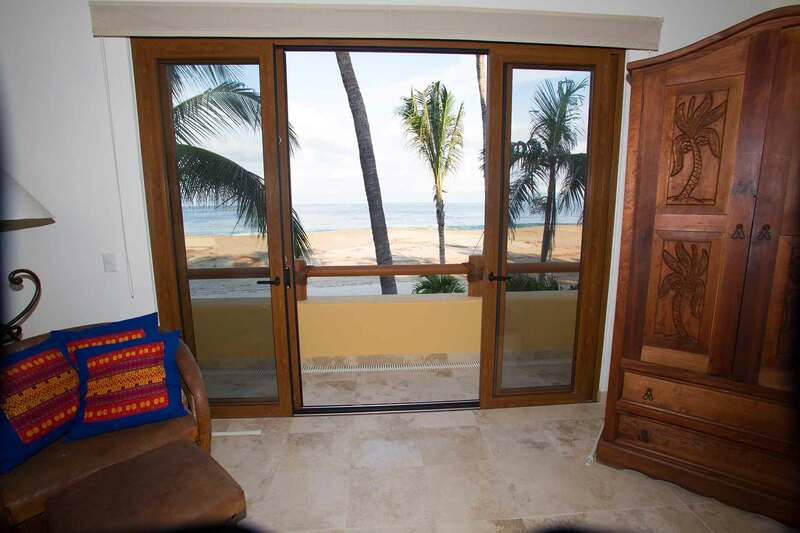 The second upstairs ocean view bedroom is equipped with a king size bed, en suite full bathroom and private balcony overlooking the beach and palms and sleeps up to two. 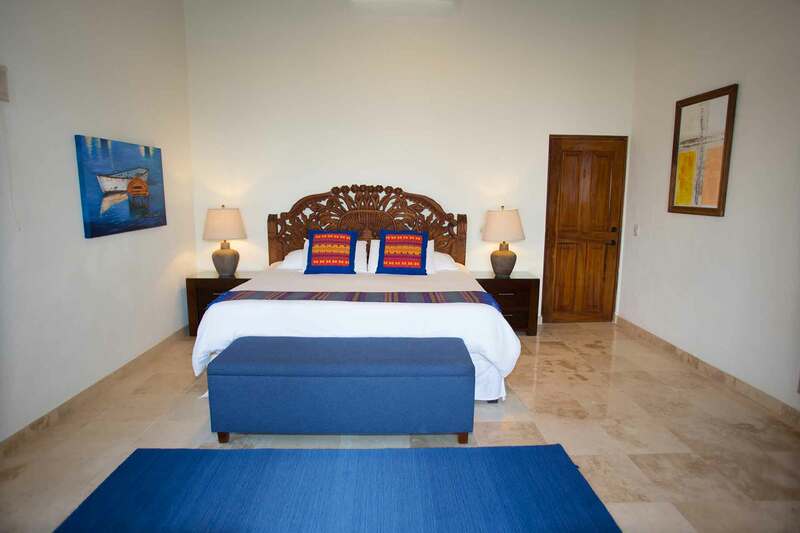 The third bedroom has a king size and twin size bed with an en suite full bathroom and sleeps up to three. 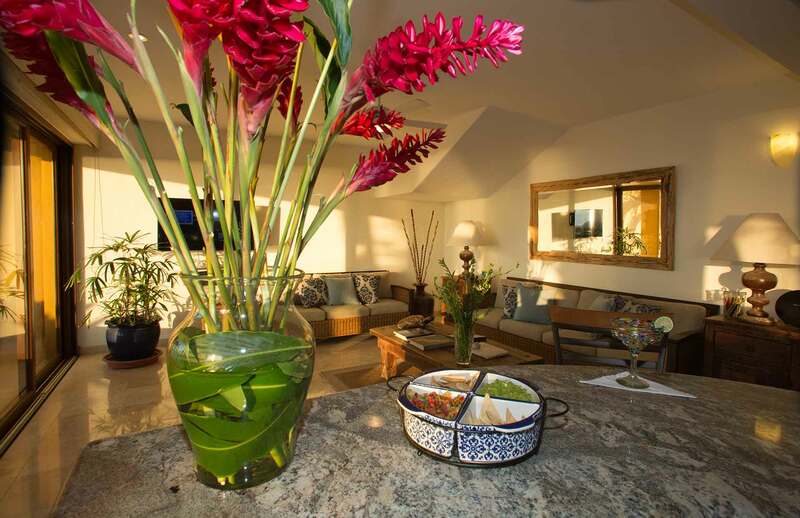 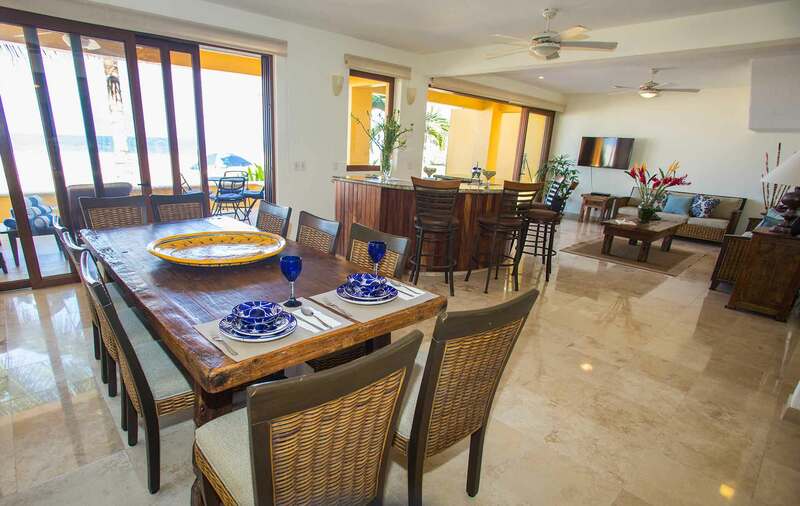 Casa Linda is the perfect home for a group of friends and/or families. 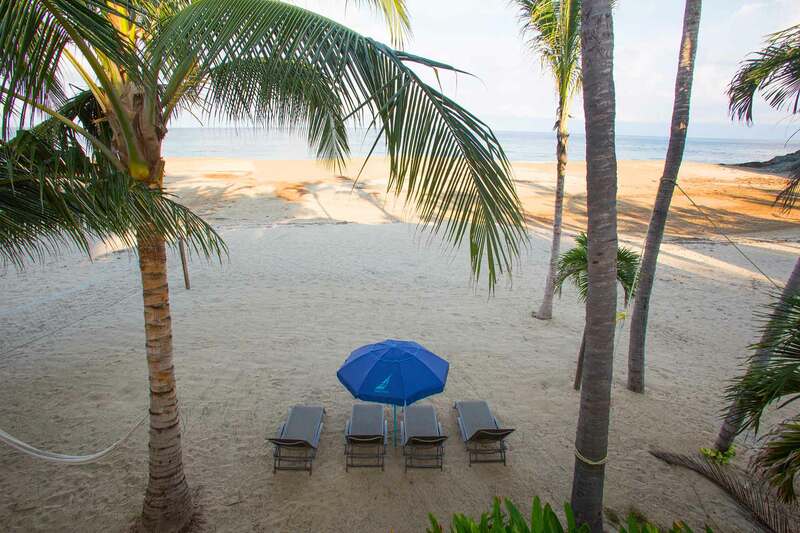 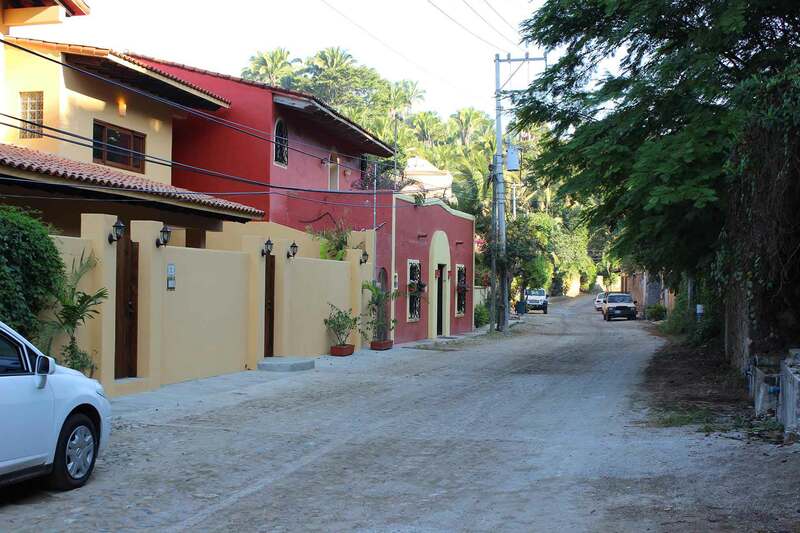 Enjoy the quaint village with local shops and restaurants, experience the variety of adventure tours, lounge at the home while listening to the surf and/or watch the sunsets from the pool terrace, whatever one decides Casa Linda has it all! 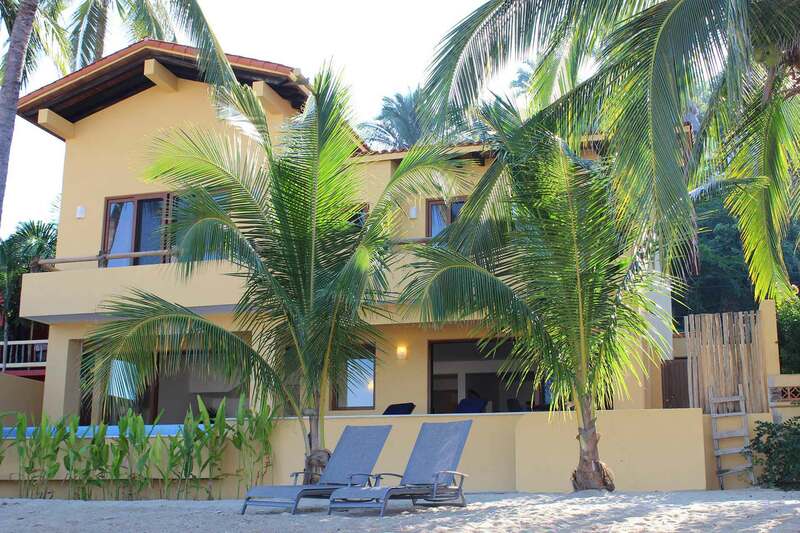 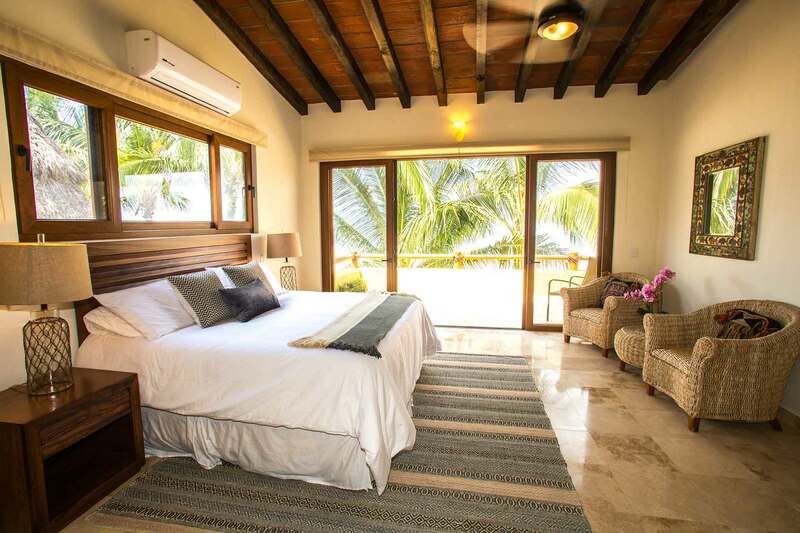 Casa Linda is a five bedroom home that can also be rented at discounted rates as or a two, three or four bedroom home depending on the number of guests in your group. 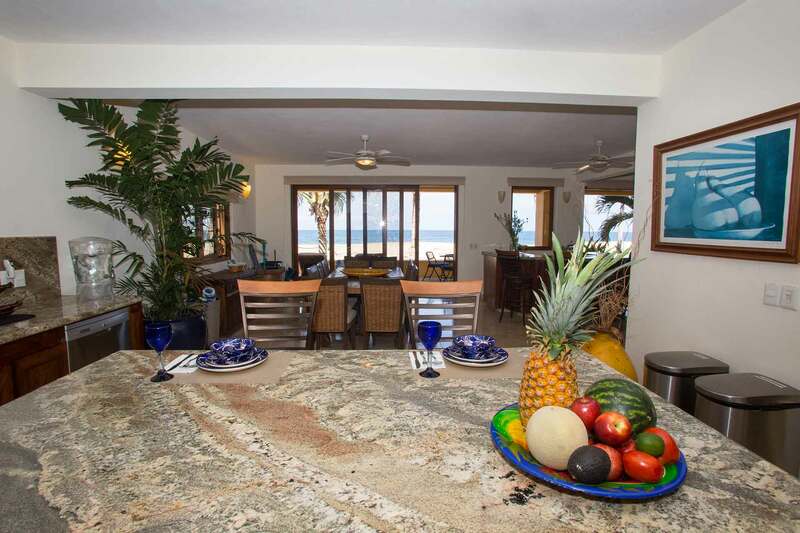 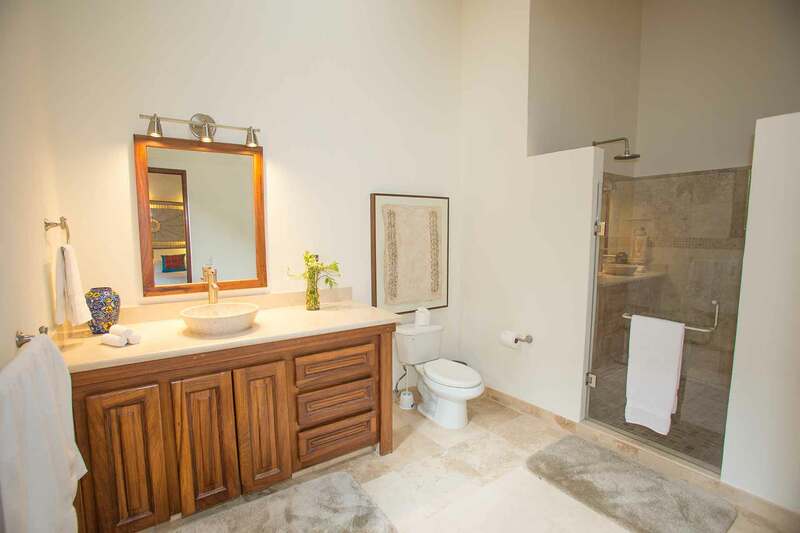 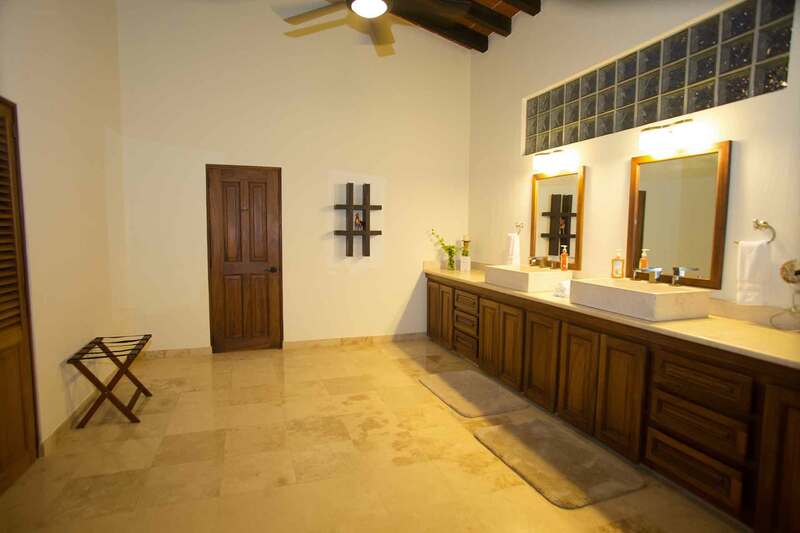 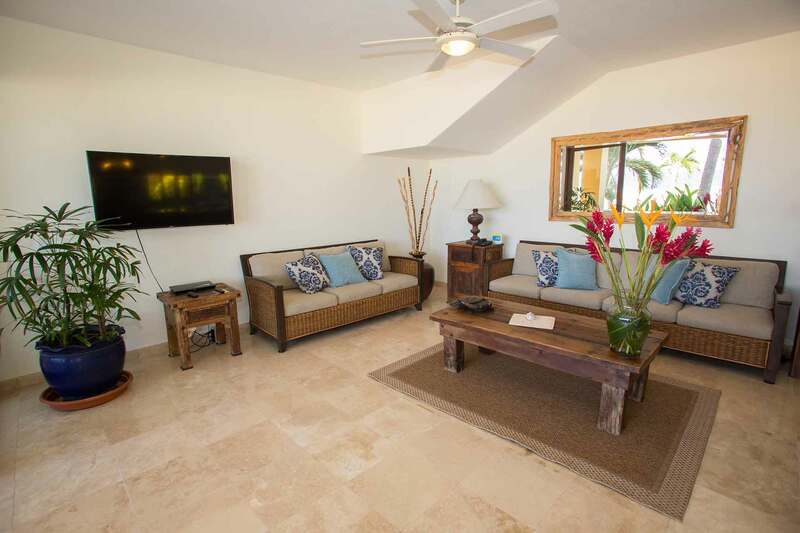 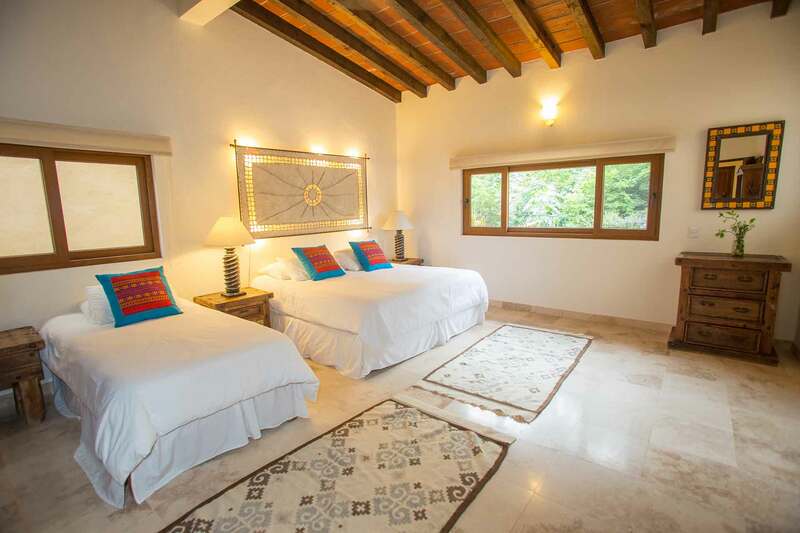 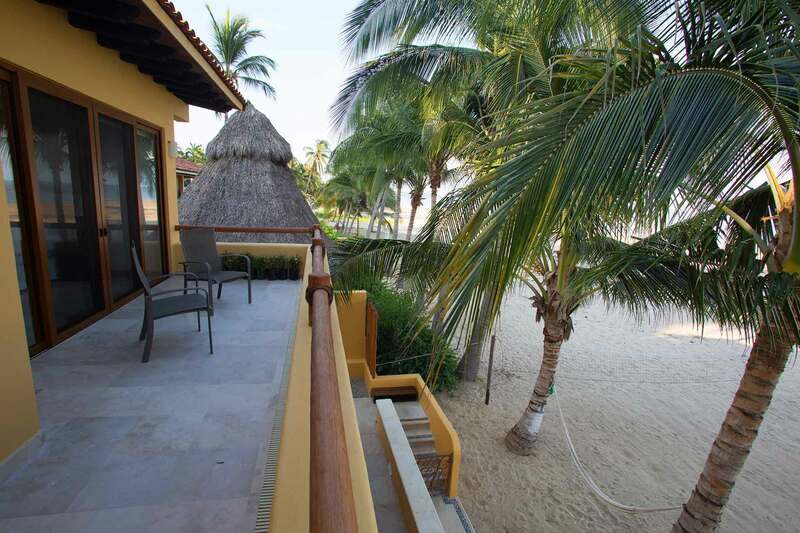 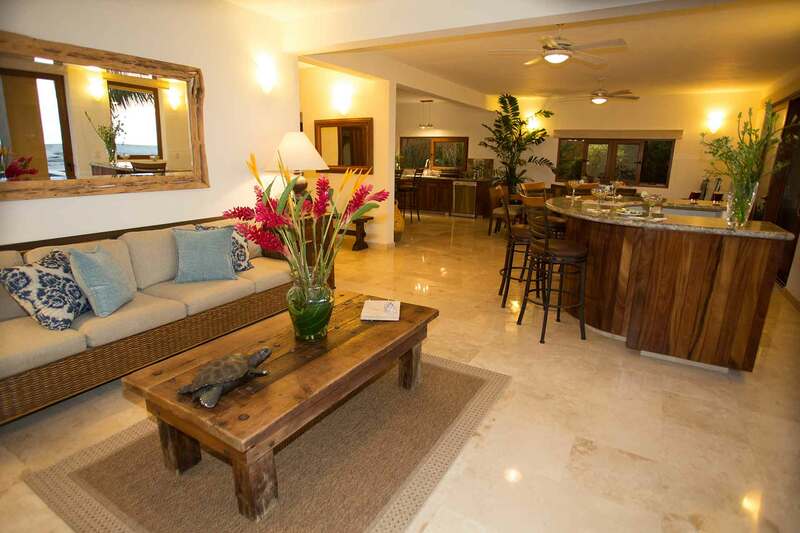 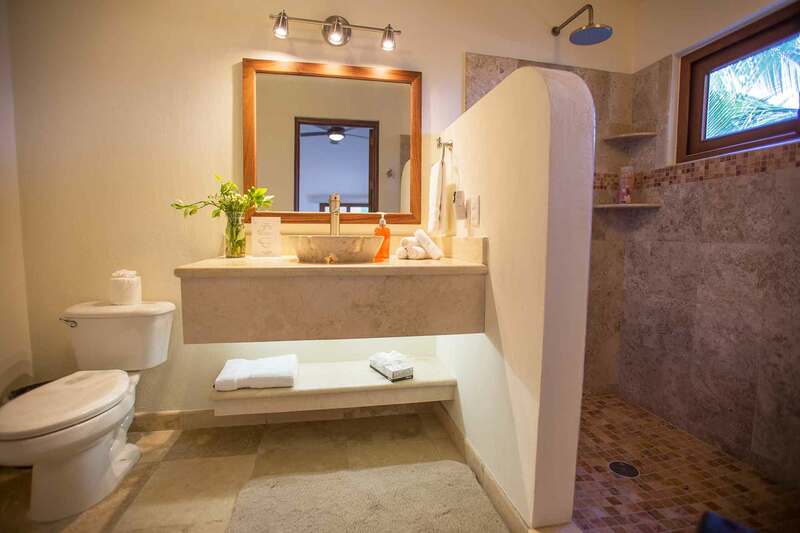 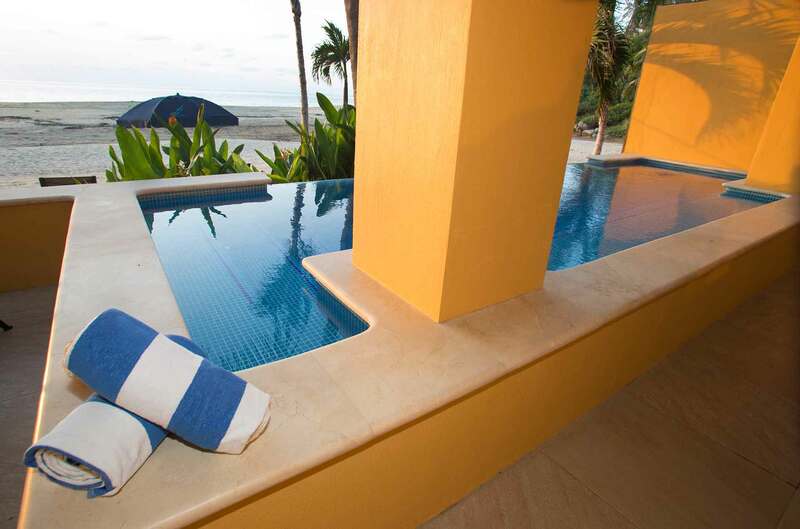 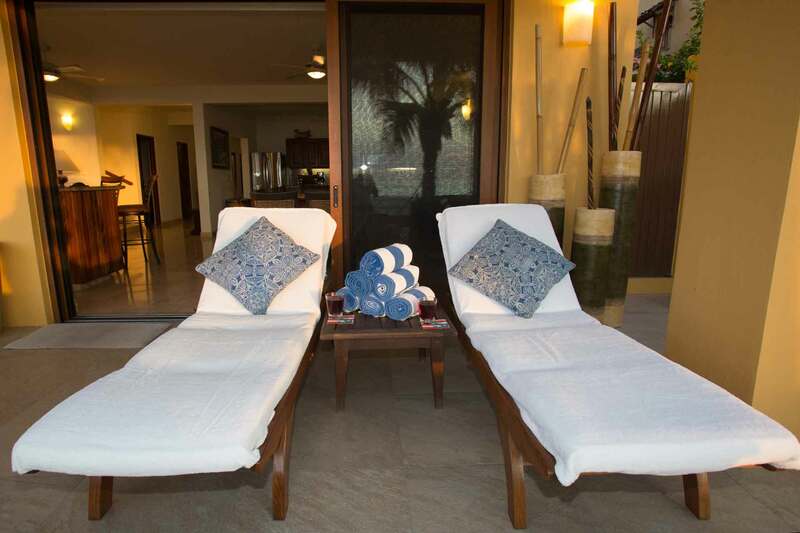 When renting Casa Linda with fewer rooms, guests pick the desired bedrooms out of the five bedrooms available. 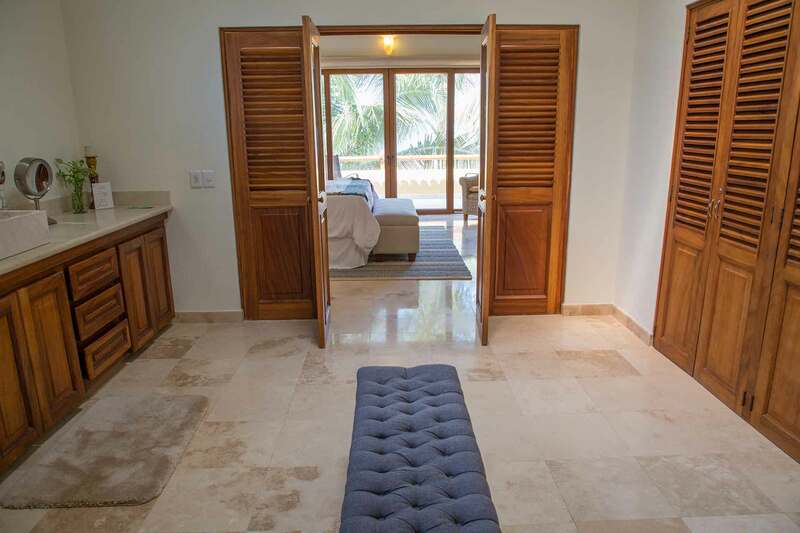 The unocupied bedroom(s) in these cases will not be open for guests to use. 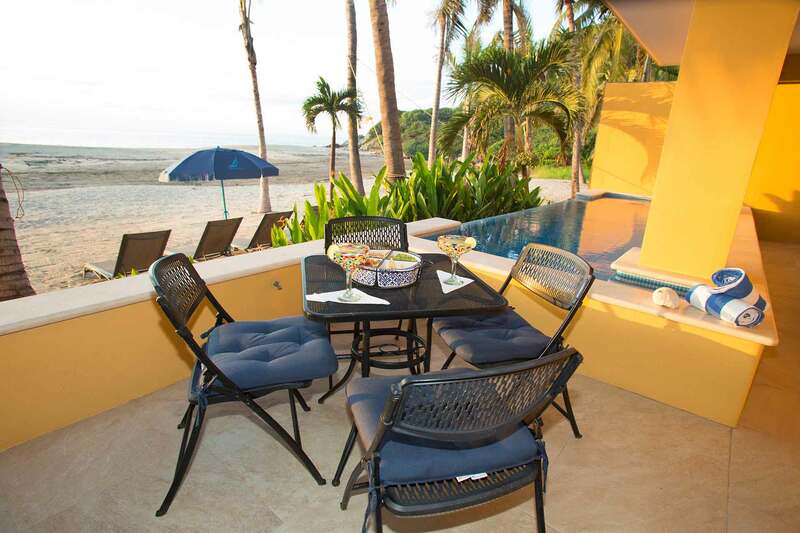  Please see Casa Linda II, Casa Linda III, Casa Linda IV or the five bedroom, Casa Linda for more information. 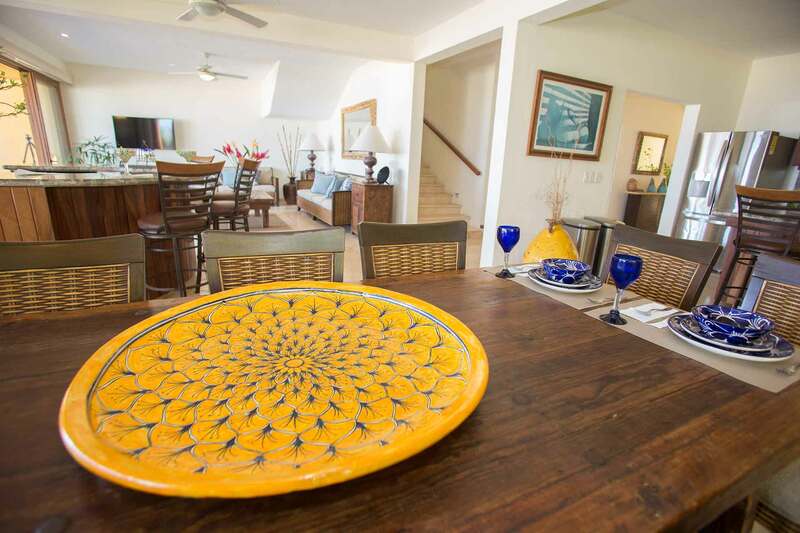 *This three bedroom option is not available over Holiday weeks, February or March. 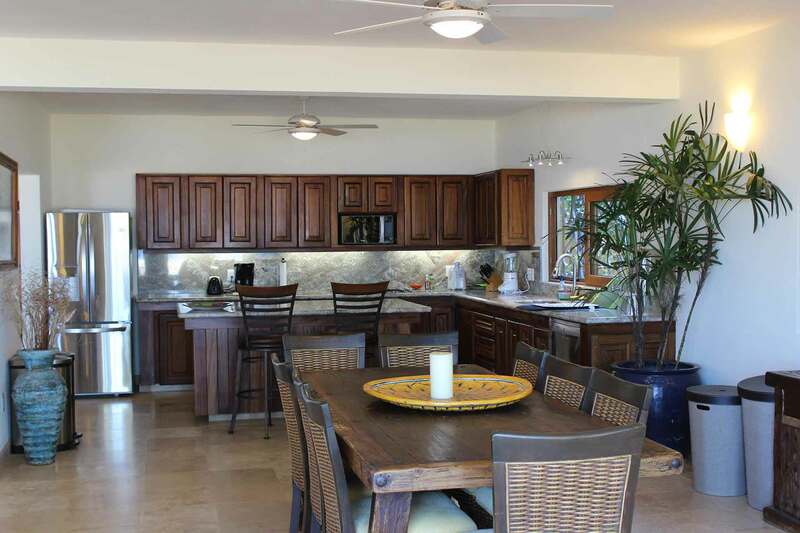 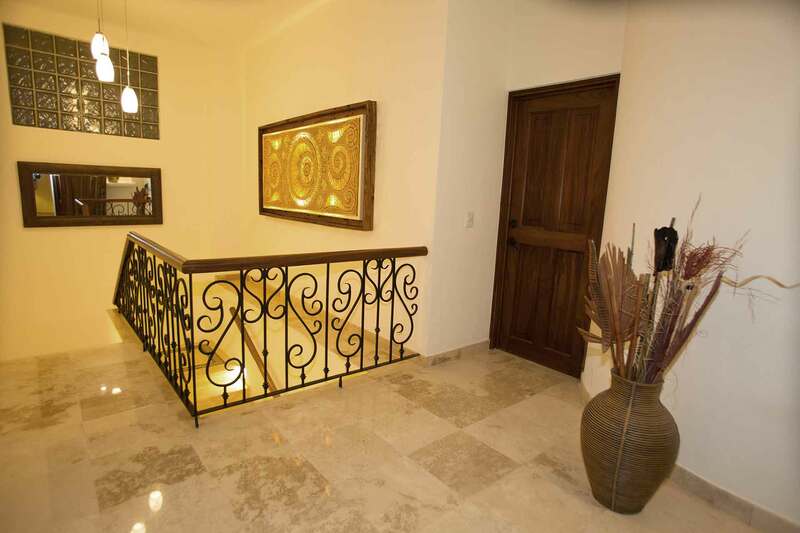 Please refer to the full, five bedroom home, Casa linda. 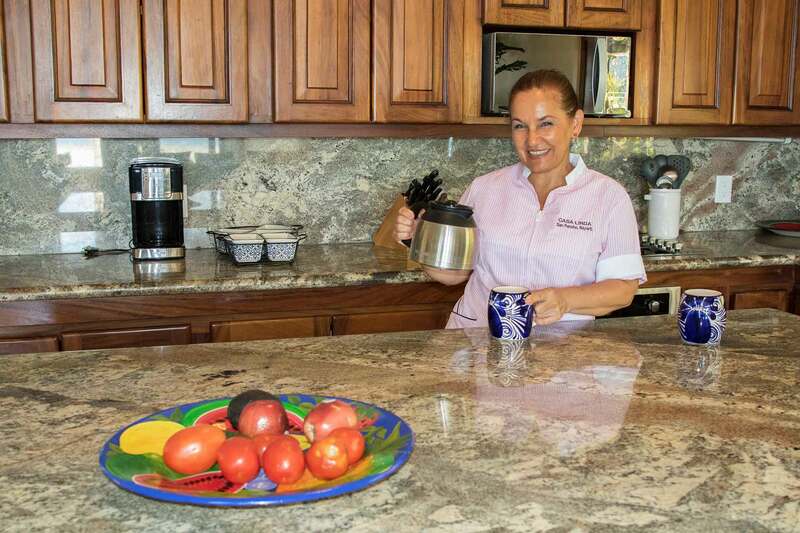 In house meal preparation can be arranged $50 USD per meal + the cost of groceries paid directly the cook.